Concrete pumping is done through a machine which transfers liquid; this machine is known as a concrete pump. Generally, a concrete pump is said to be of two kinds. The first type is the one which is attached to a truck which is also called a trailer-mounted boom concrete pump because it uses a controlled articulating robotic arm (called a boom) to place concrete accurately. These boom pumps come in handy when the construction projects are spread on a larger scale since the method of concrete pumping they use can handle high volumes and also because of the labor-saving nature of the pump. The concrete pumping displayed by these boom pumps is revolutionary as opposed to the truck-mounted concrete pumps. 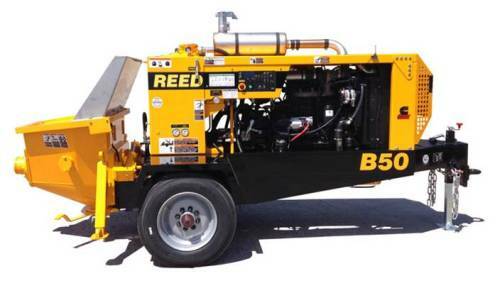 The other kind of concrete pump is either mounted on a truck or positioned on a trailer. This one is referred to as a line pump or trailer mounted concrete pump. The line pumps are not as high speed when it comes to concrete pumping and because of the lower volume that they pump, these are more suited to small scale projects. Concrete pumping is a challenging task because concrete is viscous, heavy, abrasive, has pieces of hard rock in it which solidify if the pressure and movement aren't enough. Piston pumps are used for this reason as they produce a great level of pressure which makes the process of concrete pumping smooth, pushing cylinders of heterogeneous concrete mixes (aggregate + cement). For some construction projects very precise and efficient method for laying concrete needs to be used and this makes the use of a suitable pump vital. It is also a cost-effective method for the placement of concrete thus being the preferable choice. So what do contractors and engineers do when the construction sites are hard to reach and are awkwardly located? For such very high or low placed areas, the only choice for contractors/engineers is concrete pump hire.